If I were a character in The Matrix, I want to be Anti-Neo who drags everyone from the real world back into the matrix. The synthetic world is so much easier to manipulate than the real one. Not sure if it is the ideas that are good or it is just the cocoa I drank. I was browsing the MM papers and found the following statistics very amusing. (See here for the original source.) Notice the unusually low submission (and high acceptance) rate in 2009. What is causing this? A natural explanation is that the recession prevented many people from attending (and thus submitting) to a conference held in a relative remote place like Beijing. Anyone else has better ideas? I spotted this very interesting article today from a friend’s facebook posting. I thought about this very similar issue before, and I could not resist the analogy between life and Monte Carlo ray tracing: each individual is a like a stochastic ray that samples a particular path, and in the end a grand entity (e.g. God for the creationists or natural selection for the Darwinists) renders the future by summing up all our individual contributions. In both cases each individual is allowed to sample only one path; there might be imperfections for each individual path but the grand entity only cares about the soundness of their joint statistics. 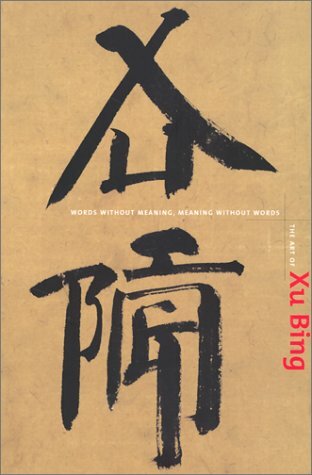 I spotted these unique calligraphic works by Xu Bing in Stanford museum a few days ago. These are quite amusing works. When I first saw these, I had no knowledge about the artist’s method, and thus the art works present an interesting puzzle for me. I start to feel that Big Head is like a little spinning top in action when she becomes angry. Strangely, when that happens, I become amused rather than affected, much like a father playing with his daughter. I had this special kind of grain for lunch in the company cafeteria today. 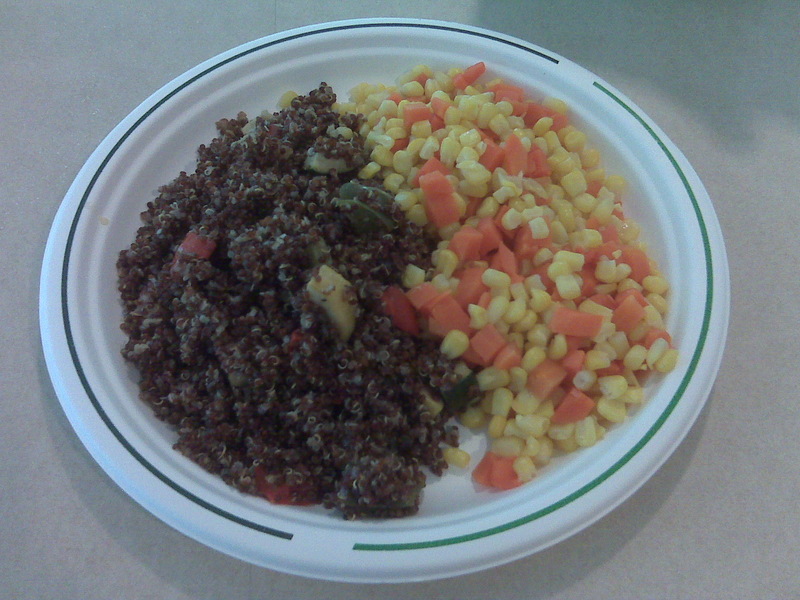 The Bolivian red quinoa is mixed with roasted vegetables, and sided with corns plus carrots. The red quinoa is crunch and delicious. It is also entirely vegetarian. I am impressed by the creativity of the cafeteria in my current office building. The phrase “animated documentary” may sound like an oxymoron, but that is exactly what I would use to describe Waltz with Bashir. I was originally attracted to this movie due to its graphics effects, especially on the masterful use of large regions of monotonic colors. What I did not expect was thought provoking storytelling, and I was thrilled to find plenty in this movie. I highly recommend this movie, as well as the behind the scene bonus features on how the movie is made.